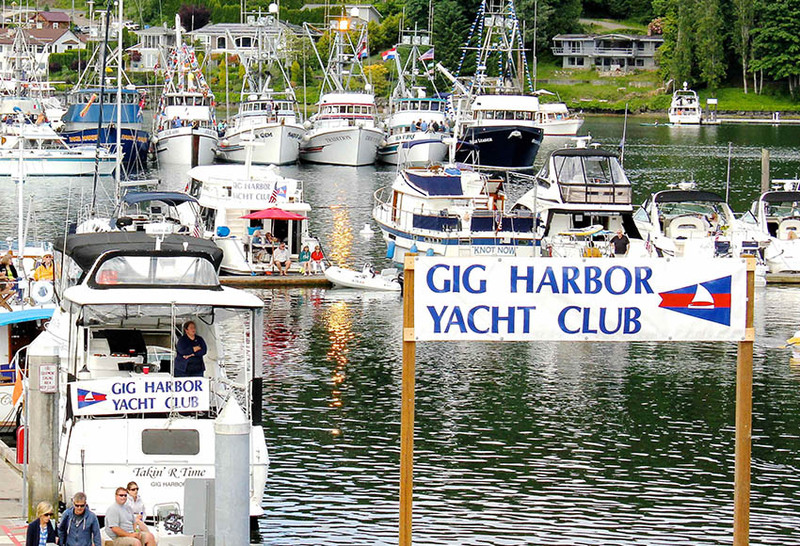 Gig Harbor Yacht Club is an active boating and social club that celebrates camaraderie, and boating activities. We have a positive environment of sharing knowledge and sharing good times. 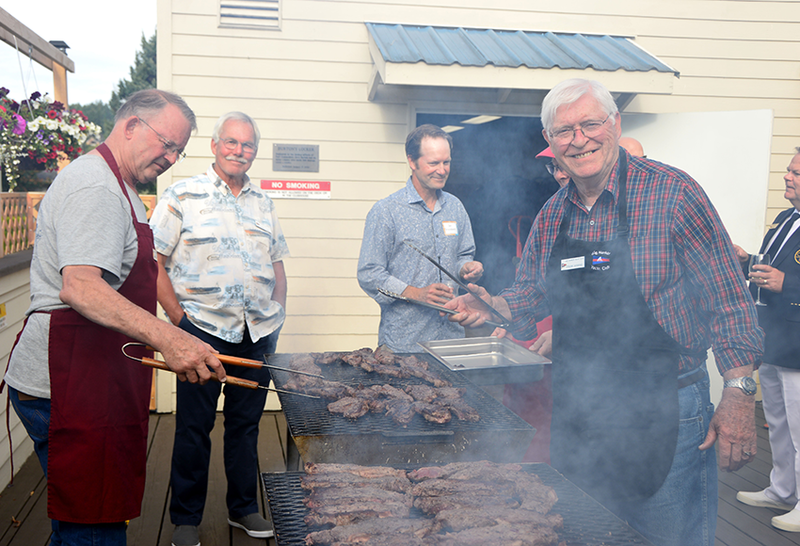 Our Social Calendar is full of cruising, racing, and land-based activities that are 100% volunteer in their organization and support. We have monthly catered Dinner Meetings, TGIF casual evenings, Men's Lunch, Ladies Night Out, Special Balls and Themed parties. We are active on the water as well. Check out our Boating link to explore our monthly cruises, and our participation in the Puget Sound’s Sail Racing and Power Boating competitions. 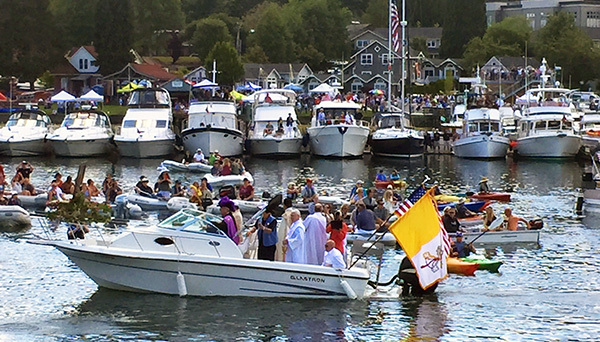 GHYC is an active part of our community with the holiday “Lighted Boat Parade”, the Gigfest celebration, as well as being a part of the Grand 14 Yacht Clubs in the Puget Sound. We currently offer Reciprocal privileges with nearly 100 yacht clubs along the Pacific Coast and beyond. 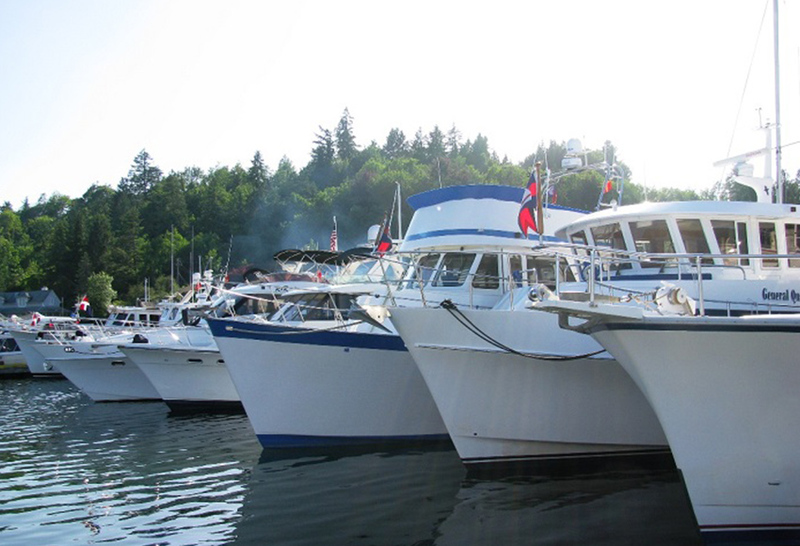 Please explore our website to see what Gig Harbor Yacht Club is all about! There are over 100 Silent Auction items to bid on and enjoy, as well as some fun and adventuresome Live auction items!! Doors will open at 5:30. Tickets are $30 each and we anticipate selling out quickly. There will be the popular Heads or Tails game and our very popular auctioneer Jim Lee will be making a return visit. Invite your friends and neighbors to join. This is one of our few events that is open to non-members so bring a guest as well !! Friday afternoon is the Dock Party hosted by Robert & Leah Philpott. Please bring an appetizer to share with members. Markhams have secured the live band Powercell for the party. Don't miss this event! Saturday late morning is the Decorated Boat Parade, which GHYC is proud to once again have an amazing Decorated Entry. Our Officer's Boat will also be in the parade. This is a full day of fun!! Cocktail dress/slacks, dinner jacket required. If you are coming by boat, you may arrive as early as Monday, April 29. you MUST contact Mike Burton. There is NO power or water on the docks. 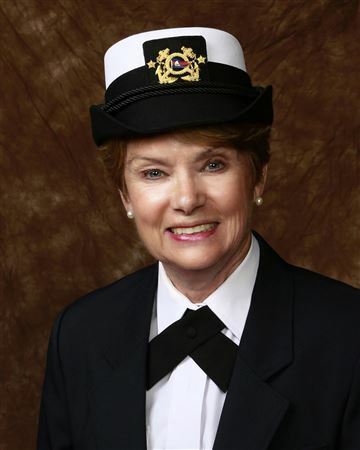 Celebrate and Honor our amazing Commodore Linda Strand!! Transport yourself for an evening of fabulous dining and dancing to live music, as we show Linda how much we appreciate her. The Harbor race series is scheduled for the Thursday evenings of May 2,9,26,23 & 30. The races start at 6:30. All classes and skill levels are encouraged to participate. You can come race in the series or just cruise around the buoys in the Harbor for a relaxing evening on the water. Addition details will be posted by April 18th. Please note, every week on Thursday there is a Men’s Lunch, all men are welcome.